Do you recall dropping a shopping cart on a Thursday while you’re thinking of buying something online? If yes, you’re one of the many shoppers that made Thursday the day when people abandon shopping carts most often, according to SalesCycle. Shopping cart abandonment is the number one income killer for online sellers at nearly 70% of all online shopping incidence. In dollars that’s an astounding $3 trillion worldwide. Now juxtapose this rate with the surge in online shopping during the holidays: 86% of Americans did their Christmas shopping online last year, according to PayPal. How many are abandoning their shopping carts this season? We don’t know yet, but it’s likely to add to the huge pile of lost opportunity sales. At that scale, cutting down shopping cart abandonment even by 1% can mean a lot. 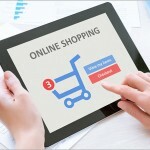 One key is to earn the trust of e-commerce visitors. Do you have at least 10 positive reviews across your digital presence? One study says 85% of shoppers read up to 10 reviews before they trust a business. If you can’t get a 5 or 4 star-rating, at least strive to get 3 stars. That’s because there’s a deep chasm between 2 and 3 stars; apparently, customers draw the line at 3 stars when trusting a business. Shoppers go for perceived security rather than actual technical encryption. In a survey by Baymard.com, an independent web usability consultancy, three popular trust seals outscored SSL seals by more than 50% except for Norton, which, ironically, scored the highest rating. It’s likely a brand trust that makes shoppers feel safe. We also included a glaring fact that online sites with shabby customer service should take heed: 56% of shoppers will tell other people about their bad experience with a business. That’s more than half of your shoppers becoming a serious liability.